Interesting. Its a privilege to be at a place like that. 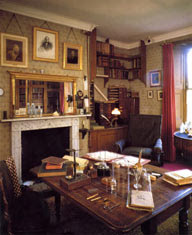 Could have been lot better if you were allowed to take pictures of his rooms specifically his study. What an opportunity to see the place where such a important figure in science performed his work. It couldn't have happened to a nicer astronomer.